But, when you are making them for 8th grade girls to go along with pizza and get them full of sugar for a sleepover – they are perfect. These are so good – especially right out of the oven. Perfectly chewy! Cream wet ingredients. Add in dry. Fold in chips and nuts. 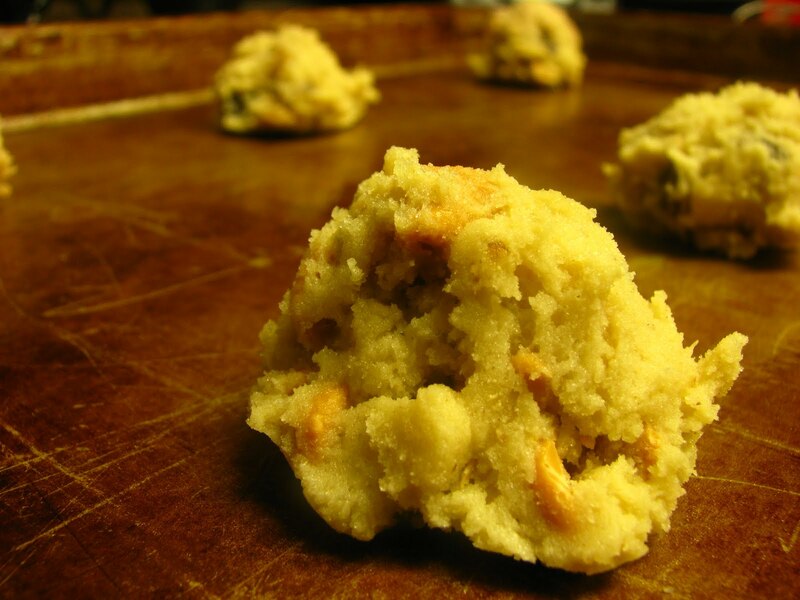 Larger cookies – 11 minutes – slightly sprayed cookie sheets. 350 degrees. 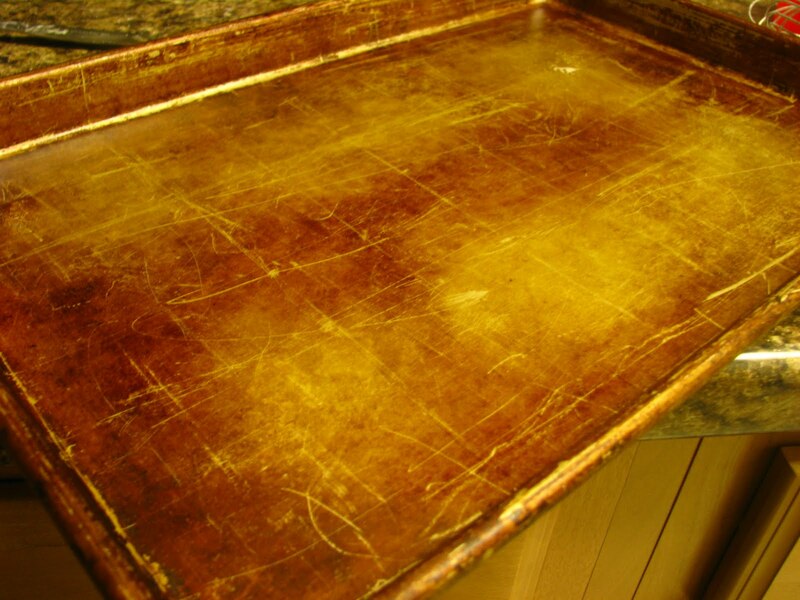 Question: Do have a favorite cookie sheet that looks like this one? 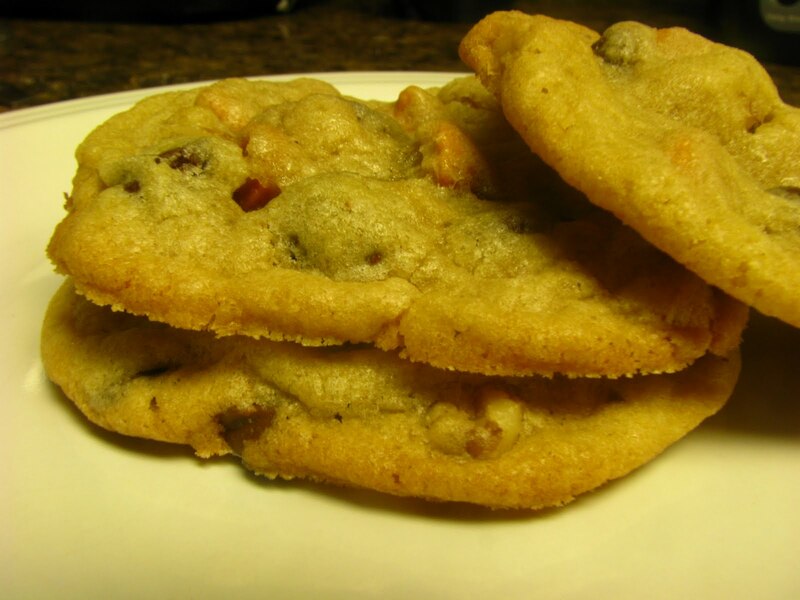 And what are your fave chips to use in cookies? Yes, I have a cookie sheet that looks like that! 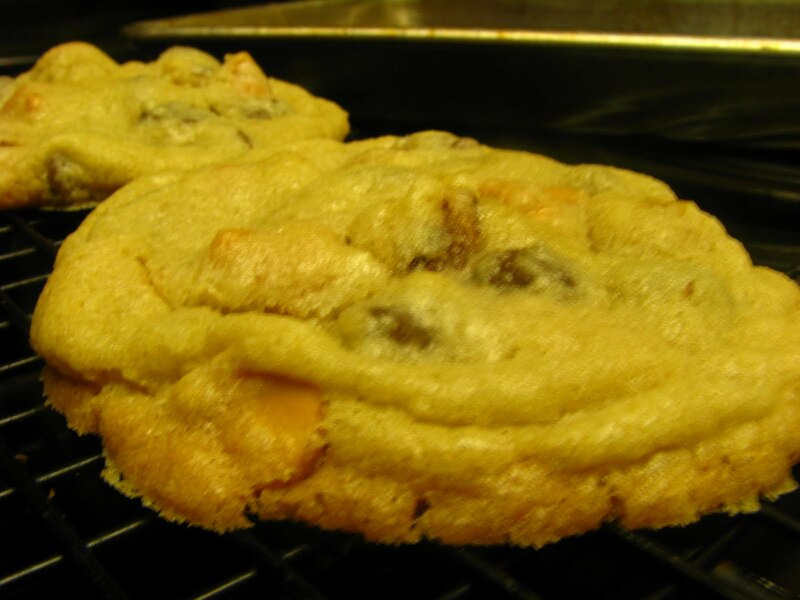 I like peanut butter chips & chocolate chips in my cookies.